Hardly Itself (ALKU 139, 2015). 40 page publication. 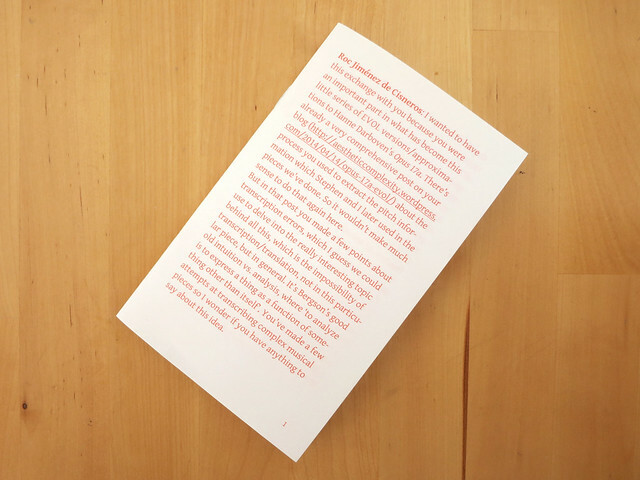 Offset printed on Munken Lynx Rough, 100 gsm using Pantone 805 ink. 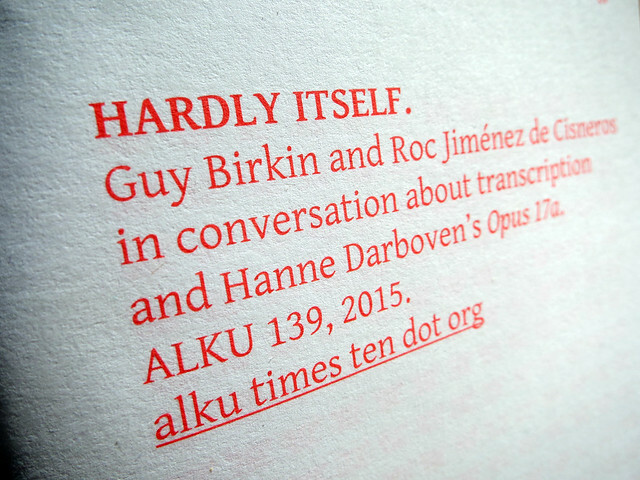 A conversation between Guy Birkin and Roc Jiménez de Cisneros about Hanne Darboven's Opus 17a. 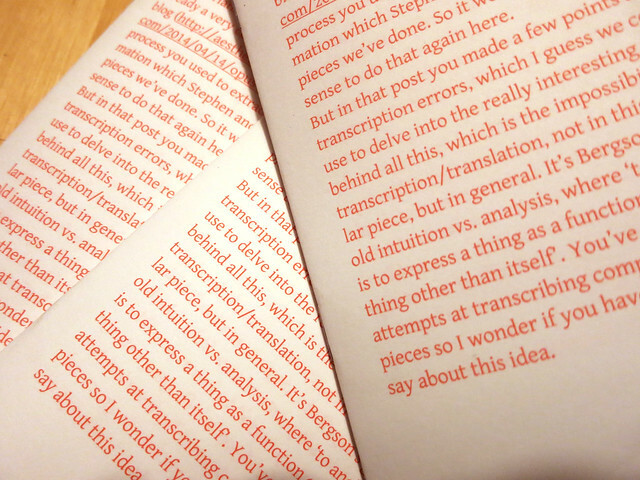 This publication is related to the OPUS17ASLIMEVARIATIONS series.